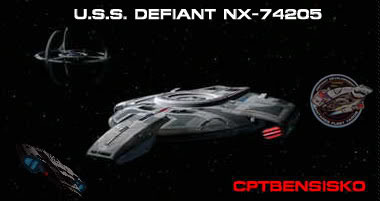 I made this mod with the idea that the player can play through the star trek timeline from the launch of the NX-01 to the Sernaix war and a little beyond. That way u feel as if you're moving through star trek history in the game. Now this will not be just a federation only mod...i plan to do the same storyline, if u will, for the Klingons, Romulans, and Borg so you can see the evolution of the four major powers through history. I have already startd to assemble a small team to help me, but i am still looking for a few testers and some one to either write AI or to teach me how. Congratulations...I'm happy to see that you did it. Kudos to you! Ok here's another sneak peek into what ull see in my mod...the new Premonition!!.. the Warp 5 complex everone!! It might just be me, but I think that the square gray box section of the Warp 5 complex (the one hanging off the bottom) looks a bit bland. You see the rest of the complex, nicely detailed and textured, then you see this part with almost no detail compared to the rest of the yard. Good work though, I'm happy to see that there's going to be another A1 mod besides Future Tense. Well a full website for it has been made for it as well which puts it all together. I think you're referring to this page, Warren.